Design a High Speed AES Cryptoprocessor ASIC This unique modern book presents the materials in an integrated balanced manner. 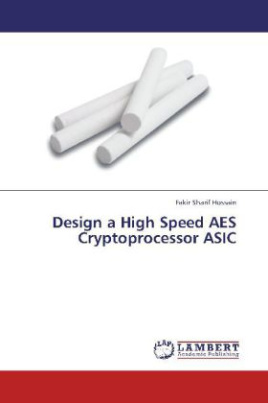 Here is what reviewers have to say about AES cryptoprocessor ASIC: - The topic organization is certainly unique. I like the concept of developing the most modern cryptography algorithm, AES in an optimized way. - This book is very helpful for the students who are working in the field of security algorithm. - The design considerations are clearly explained in this book so that the researchers can easily catch the design trend. - This text will helpful to facilitate knowledge in developing the AES algorithm in the area of throughput, area and power optimization.